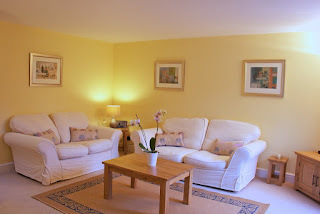 The Old Chapel offers self catering accommodation just 5 miles from the centre of the historic city of Cambridge. Our holiday home is set amongst peaceful gardens in the tranquil Cambridgeshire village of Fulbourn. Sitting room with two sofas, TV, DVD player, iPod dock and radio. Kitchen with gas cooker, microwave, fridge/freezer. Dining area with round table and 4 chairs. Master bedroom with double bed, chest of drawers, large built-in cupboard with hanging space and shelves, iron, ironing board, hairdryer. Second bedroom with single bed, wardrobe and desk. Bathroom with bath (mixer and shower attachment). Our holiday home has gas central heating throughout, internet & Wi-Fi, two bikes, barbecue, outside table & chairs as well as shared use of the ½ acre garden and wood. Fulbourn is a tranquil village situated just 5 miles from the historic Cambridge city centre. It has a good selection of traditional pubs with restaurants, an excellent butcher selling local produce, a greengrocer with fruit and vegetables from his own farm and a variety of other shops including a Co-op, Post Office and cash point. The surrounding area includes excellent walks, particularly through the local nature reserve.